Living well and healthy lives can’t just be something you talk about. It involves choices and discipline to keep those choices in place. If families want to be healthy they need to be proactive – but it’s hard though to know where to begin, especially if healthy choices haven’t been a priority. For adults and children alike, healthy living is essential. Parents need to pave the way in modeling healthy eating and being active. Even if hasn’t been a habit in the past, it’s never too late to start! Ease in with small steps and goals that are easy attain. Be intentional about changing habits and find food and activities that the whole family will be on board with. This will set everyone up for success. A good place to start is in your cupboards. Go through your fridge and pantry and take out sugar-sweetened drinks, fried foods and high calorie snacks. Not having them available will make getting healthy a lot easier. This is especially important if you or your children have diabetes. Encourage water consumption and healthy snacks. Making food fun isn’t hard, so get your kids involved in picking out good snacks and making new recipes together. Eating healthy doesn’t have to break the bank. Plan ahead and make recipes that can stretch over into multiple meals. Buy fruits and vegetables that are in season and buy foods in bulk when you can. Healthy eating alone is not going to cut it. Limit TV time and other activities that keep your family sedentary. 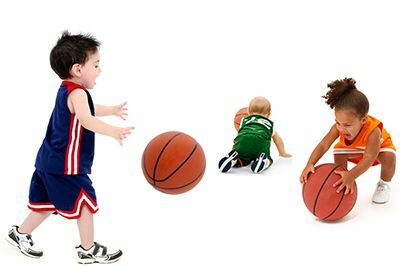 It’s recommended that children get at least 60 minutes of physical activity every day. This is a great time for the family to try out new sports, hiking trails or games together! Drs. 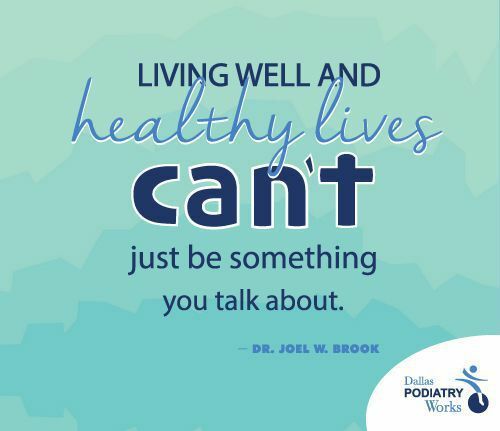 Joel Brook and David Northcutt, foot specialists at Dallas Podiatry Works care about the health of their patients. If you or your child are experiencing foot pain or problems, please contact us today at (972) 566-7474 in Dallas or (972) 943-3323 in Plano.